Dr. Irena Eris Algorithm Review: Is This Cream Cost Effective? Dr. Irena Eris Algorithm 40+ Serum for Face and Neck is marketed as a lightweight solution for those looking to stimulate collagen production and prolong the effects of other moisturizers and anti-aging products. 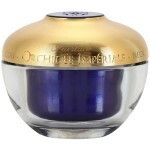 When you think of a firming cream, you might instantly think of creamy, heavy, rich formulas that never quite dry down. Dr. Irena Eris Algorithm 40+ Serum for Face and Neck is looking to change that perception. This lightweight formula is designed for all types of mature skin, specifically over the age of 40. This serum doesn’t just lock in moisture and promote collagen production. It also allows other products to do their jobs better. With continued use, you’ll notice your overall complexion is smoothed, improved, and hydrated. 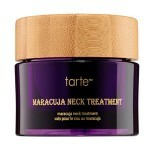 Over time, you’ll notice the skin on your face and neck has improved in elasticity. This product also deeply hydrates the skin and improves the skin’s protective barrier. Hydrated skin is plump skin, meaning the look of fine lines and wrinkles will be lessened as well. For best results, apply Dr. Irena Eris Algorithm 40+ Serum for Face and Neck to your cleansed neck and face, during your morning and evening skincare routines. Allow the serum to absorb before following up with your preferred moisturizer and a sunscreen during the day. Dr. Irena Eris Algorithm 40+ Serum for Face and Neck retails for $48.00 1.7 oz. of product on several lesser-known skin retailer websites. Algal Biomolecules: These ingredients are used in Dr. Irena Eris’ trademarked Reproductive Cell Technology. It stimulates collagen production. Sea Algae and Fruit of Citrus Aurantinum: These ingredients work together to restore the skin and promote hydration. This firming face and neck serum promotes collagen production. 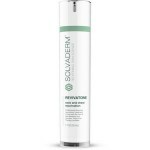 This product hydrates the skin as it addresses the look of fine lines and wrinkles. This serum locks in moisture and enhances the effects of other skin treatments. Dr. Irena Eris is not a well-known brand in the skincare industry. There are no customer reviews or professional reviews on any third party websites. Dr. Irena Eris Algorithm 40+ Serum for Face and Neck claims that it will leave your skin looking hydrated, youthful, and smooth with continued use. Unfortunately, the fragrant ingredients and lack of information online pertaining to this product make it difficult to assess. 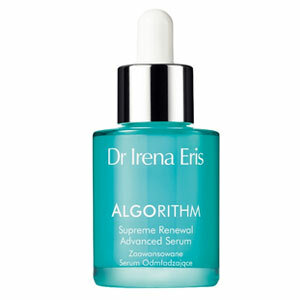 Dr. Irena Eris Algorithm 40+ Serum for Face and Neck is available on several lesser-known websites. These sites have relatively reasonable return policies. If you are not happy with the product you received for any reason, simply return it within 30 days with the original receipt for a money back guarantee. Several sites require a return merchandise authorization number, so consider calling customer service before returning.